Description : A beautifully crafted billfold made out of the Italian Tampono. 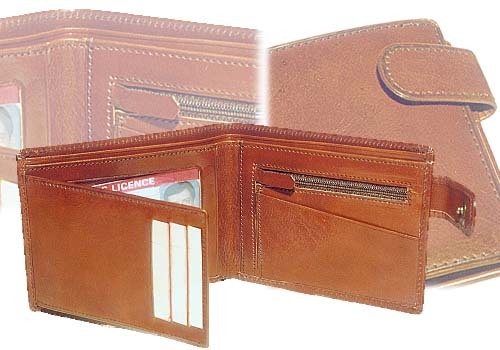 It has two compartments to keep currency notes, a zip pocket for the coins, six slots for the cards, a transparent window for personal use and a side pocket beneath the coin pocket. A press button closes the billfold.